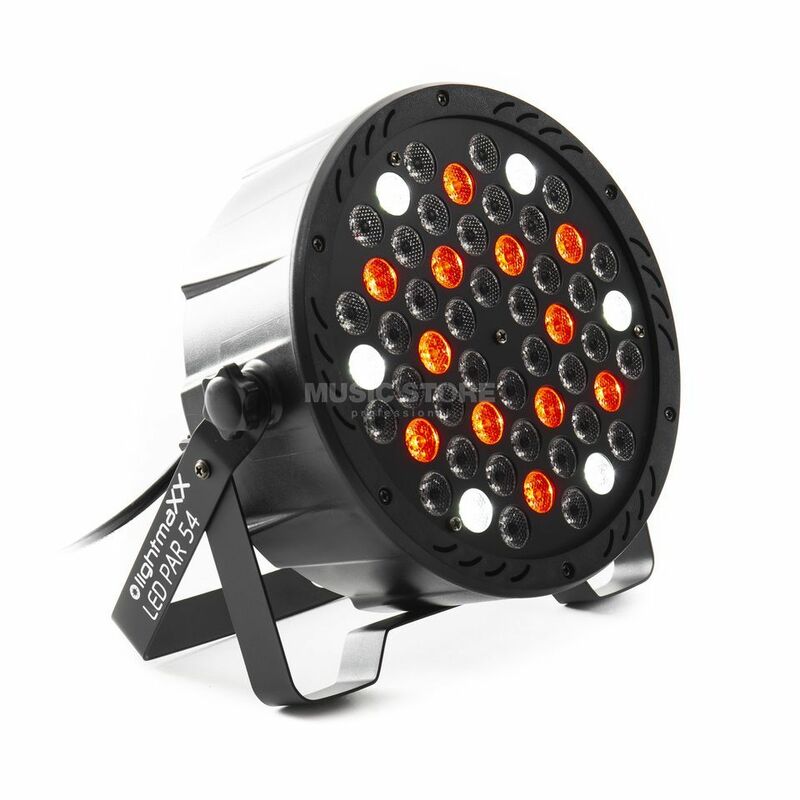 The lightmaXX LED PAR 54 is a lightweight and powerful LED spotlight. The LED PAR spotlight is equipped with a total of 54x 1W RGB LEDs. LED spotlights have an extremely long service life and consume very little electricity. This makes the lightmaXX LED PAR 54 ideal for decorative lighting applications, but also for lighting dance floors and stages. The individual RGB LEDs allow beautiful colour mixtures to be created by mixing the basic colours. The lightmaXX LED PAR 54 can also be used wonderfully as a floor spot, a double bracket being included as standard. The LED spotlight can easily be controlled via DMX, the headlight having a total of 7x DMX control channels. In addition, the spotlight has various other modes such as Sound 2 Light, Auto Programs, Static Colours and Master & Slave. All these settings can be processed using the control panel and display at the rear of the unit.